After the latest in a long line of controversial comments from Morrissey on race and immigration, Getintothis’ Cath Bore and Luke Vance Barr debate whether he’s still worth the bloody effort. Morrissey, he of the UKIP-sympathising and anti-EU membership brigade, appeared on 6 Music last week lamenting the failure of an anti-Islam UKIP leadership candidate, in front of a stunned audience. A gathering who did not anticipate such an outburst, having toddled along and expected songs of tongue in cheek misery and sweetness,and only got tragic irony instead. 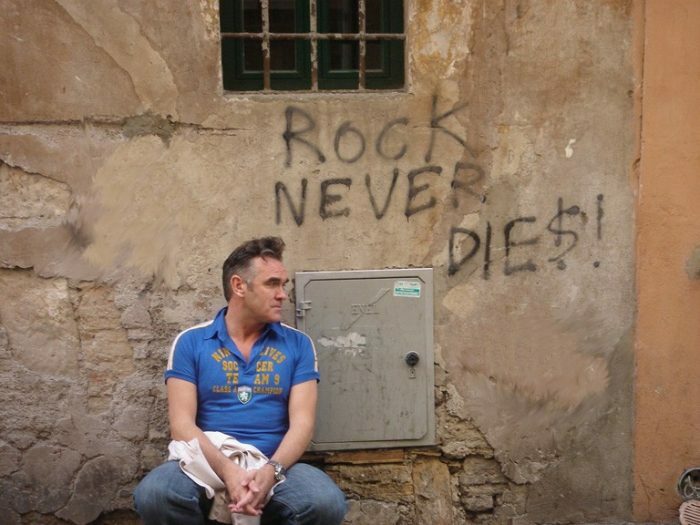 Below, two of Getintothis‘ regular contributors and long term fans have given their opposing views on what to do with a problem like Morrissey, from a personal perspective. Since the tender age of 13, I have done my utmost to socially and perhaps shamelessly impress through the usage of ornamental verbosity and sentimental rhetoric. Two components of character derived from a man who I’ve loved for just over a decade. A man who has moulded my personality like no other and a man who I’m now quite frankly, Mr Shankly, sick of. Coming across Morrissey as an ill-fitted teenager was a discovery like no another. Soon followed were Smiths related MSN personal messages and a Morrissey-based Bebo background. Teenage years were made all the more bearable by listening to a band whose overloaded lyrical emotion could really hone in on one’s pubescent hormones. Moz was simply the man for me. This follows on from a previous interview with news.com.au where he revealed admiration for ‘liberal educators’ Nigel Farage and George Galloway, admitting to Loaded Magazine that he also come close to voting UKIP in the past. An additional controversy included describing the Chinese as a ‘subspecies’ during an interview with the Guardian Weekend Magazine in 2010. In the past I have been no stranger to aimlessly defending all too frequent Morrissey mishaps, however now enough is unfortunately enough. Basta. I can no longer feel a true sense of connection with a man whose bitter political views are so completely opposed to my own. Perhaps he does and perhaps he doesn’t, however for me the reference is enough. 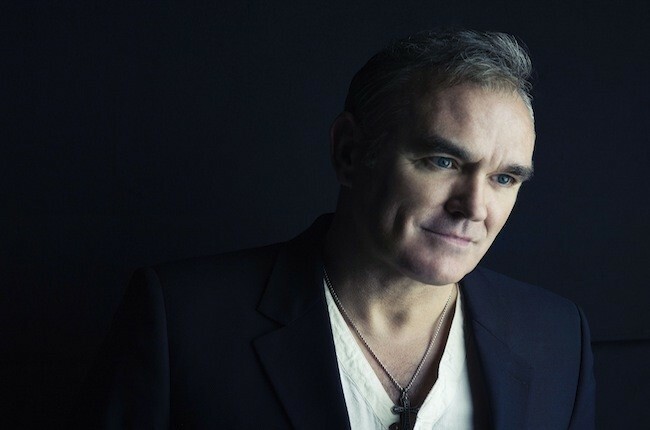 I’ve come to terms with the fact that I will no longer have my Morrissey back and now all I have is his music… Which perhaps may be the slight saving grace in all of this. Much in contrast to the vast majority of material on his previous album, I actually do like the new single. With an addictive instrumental and a lyrical rancour that we’ve long come to expect, Spent the day in bed is solid. Musically, there can be justified reason for excitement. However, for me the damage is done. I’m fed up with with his political contradictions and his evolving resentment. We’ve all got an Auntie Barb in our lives. And, I’m afraid, we each have a Morrissey. Stephen Patrick Morrissey is like my Auntie Barb, she of objectionable views about Muslims and – coincidentally, members of the LGBT community. Views I have to put up with at Christmas over the sprouts and crackers. The auntie I hate to love sometimes. Each festive season I wonder if I should I kick off at her in response, or leave it, because she’s ancient and I remember how nice she was to me when no one else bothered. Whilst a previous good record doesn’t scrub her slate clean, it helps me separate the sin from the sinner. Or maybe it’s because she’s blood. Morrissey’s been responsible for some incredible work, both in The Smiths and since. Not flash in the pan one-offs, either. He’s the master of witty wordplay and dramatic performance, and deliverer of exquisite one liners. What’s more, he’s influenced artists who have become far more important and precious to me than even he ever was; this buys my loyalty, and considerable gratitude. His behaviour last week stinks, I’m sure we’re all as one on that. But is it hypocritical to slam La Moz alone for his considerable sins? Name checking pop stars, celebs and politicians with woeful attitudes and behaviours is a sport we pursue casually and with a lack of commitment. We suffer from a selective memory when it comes to those in the public eye, those we desperately want to think kindly of and put emotional investments in, but who cherish unpalatable belief systems or have patchy previous behaviours. US actor Michael “Kramer” Richards’ comments about black people in 2009 were unacceptable, but what fool wants Seinfeld banned? At a gig in 1976, Eric Clapton declared “Enoch (Powell) was right!”, and shouted the National Front slogan “Keep Britain White“, and yet was made an OBE in 1995 and CBE in 2004 without a murmur, ‘cos, y’know, Layla. He reiterated his support of Powell publicly as recently as 2007; it’s not something he’s grown out of. And do I need to list the extensive and thorough sexism displayed off stage and on, by pop stars through the ages? The truths about male stars engaging in sexual activity with underage girls too young to give consent are inconvenient, but very much there. Pop stars who make the records we love, and people we like on the telly, do no always exhibit good and proper behaviour. Shocking, I know. Don’t turn to them for moral guidance, kids. So, taking the considerable rough with the smooth, my Morrissey fandom remains, albeit more than a little frayed at the edges. With him, I don’t buy into the romance and the poetry of it anymore. In fact, he’s a bit of a bore at times. It’s sad, but I’ve got used to it. He’s a bit like an ex who ran around on you, treated you appallingly, and you know in your heart of hearts is bad news, but you still get a hell of a kick out of remembering the good times.